Friday's most exciting bit of news: Dave Chappelle was at Outside Lands. 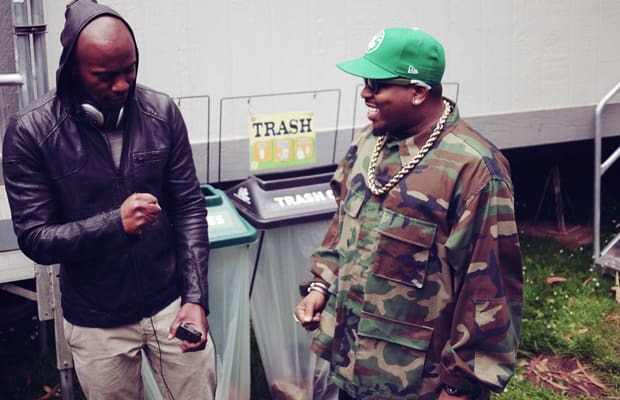 Before it became clear that Big Boi would not be performing, the energy backstage as he exchanged dap with Dave Chappelle was electric. But with each passing moment it became clearer that Cutmaster Swiff, Big's DJ, could not bring his laptop to life. Despite the think tank of techies that gathered around the device, no one could rouse it, meaning Big could not peform. Amidst the confusion, Dave Chappelle tried to salvage the situation.